Pixi by Petra stands for fuss-free beauty in just a few moments. Petra Stand who has 20 years experience as a makeup artist and product developer, specialising in designing products that make radiant, flawless skin simple. Pixi launched in the early 2000s, with a mission to make women look like the best version of themselves with minimal effort. Drawing from her own preference for a low-maintenance makeup routine, Petra has created Pixi to suit all ages, all skin types and all personalities. Whether you love a natural look or want to experiment with colour, Pixi has a philosophy of making products that are quick to use, versatile, and contain nourishing ingredients so that your skin has never looked better! 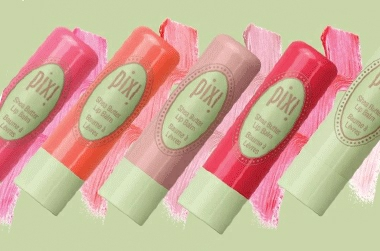 Adore Beauty is an official online stockist of Pixi Beauty. Free standard Australian shipping. Showing 20 products of 50. This lip gloss is lovely, it's not sticky or thick and heavy. It's light, nourishing and has a gorgeous subtle orange scent. The amount of shimmer is just right and the colour is neutral enough to suit most skin tones. This product acts almost as a way of sealing in all the serums you’ve used in your nightly routine and intensifying their effects. I’ve got quite oily skin and notice a more oily feeling when I wake up but nothing to the point where it’s making me break out. More like all the products from the night before are still on my face not on my pillow. It’s great to use by itself as well, very nourishing and softening. A little goes a long way. This cleanser is not only affordable but absolutely brilliant! I have red spots and acne prone skin and within one week of using this product day and night, I saw a MASSIVE reduction!